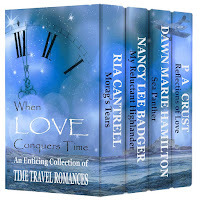 After releasing a story in the multi-author Boxed Set When Love Conquers Time, as well as a new series with SPARK and SMOKE, I put together four books in a new Boxed Set that will be released on December 5th. 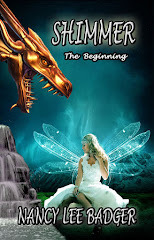 I want to thank author Paul A. Crust for creating a fabulous cover. 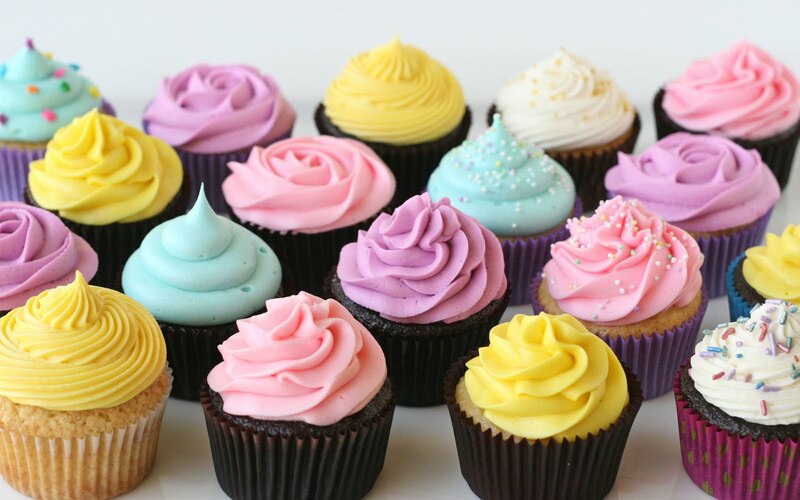 Shopping on-line is one way to make a reader smile or to share a great gift with others. 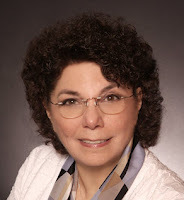 With that in mind, consider purchasing the ebook When Love Conquers Time, a 4-Author Boxed set. 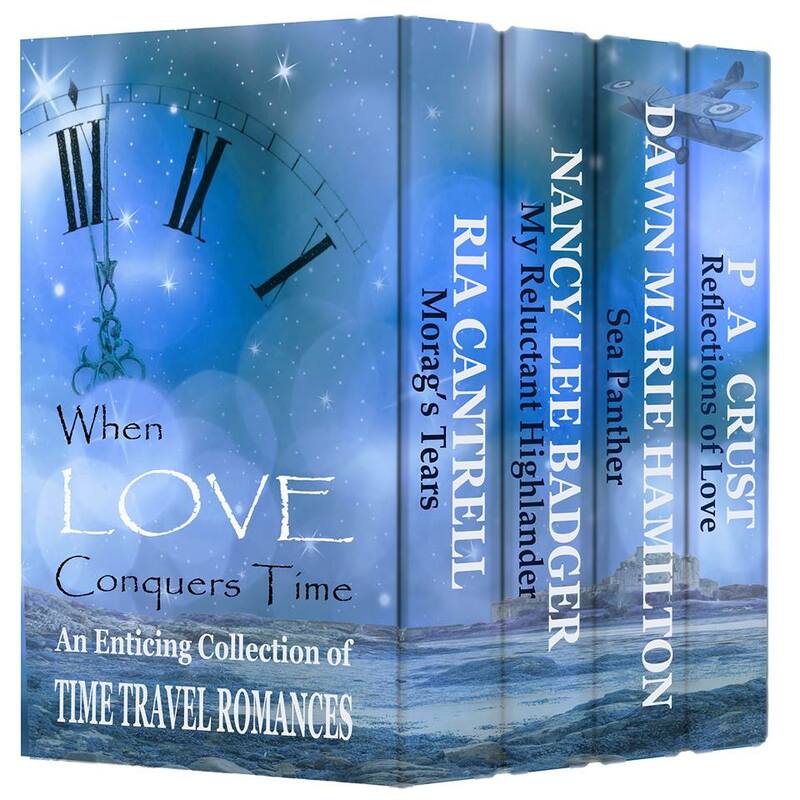 When Love Conquers Time is an enticing collection of four full-length novels, featuring time travel, by best-selling authors. Sit back and prepare yourself as we journey back through time and space in search of romance, passion, action and adventure. From the 14th century to the 20th century. 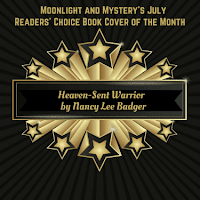 Ria Cantrell, Paul A. Crust, Dawn Marie Hamilton, and Nancy Lee Badger bring you over 1,000 pages of romance and adventure. Ruth A. Casie stopped by to share her part in an exciting collaboration of authors, which resulted in the following exciting book. 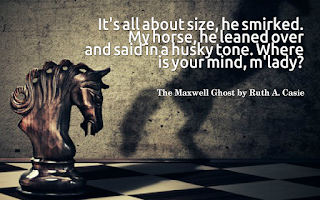 I asked her to tell my readers a bit more about her contribution, The Maxwell Ghost, part of Once Upon a Haunted Castle. Take it away, Ruth! 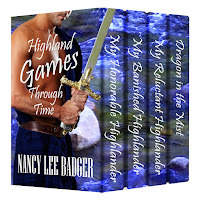 Castles, ghosts, Scottish heroes, what’s not to love! It never ceases to amaze me how the same story premise given to several authors results in different stories. The five of us had a great time writing these stories for you. So sit back. Welcome to the Highlands and the Islands of Scotland where ghosts inhabit haunted castles and can even help out forbidden lovers when they wish. Once Upon a Haunted Castle is an anthology containing five original novellas from bestselling and award-winning authors Kathrym LeVeque, Eliza Knight, Terri Brisbin, Madeline Martin and myself Ruth A. Casie. Our stories will take you to some of our favorite castles to meet our favorite ghosts. My story, The Maxwell Ghost is set in Caerlaverock Castle in the Dumfries in the 1200s. I loved this story so much that it has been extended in a full length novel, The Highlander’s English Woman available December 20 and currently on pre-sale. Caerlaverock Castle, on the Scottish border is in an uproar. 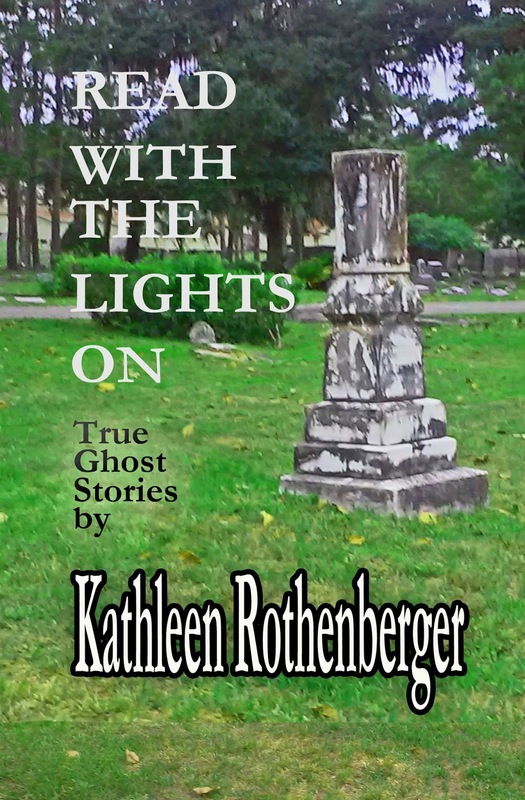 Traitors, deception, murder and ghosts run riot. The food stores have been tainted and the granaries set ablaze. Rumors fly when servants Evan and his bride-to-be, Angel are found murdered. They believe that in the heat of an argument Evan killed Angel when she threatened to expose him. Distraught over his impulsive actions, he took his own life. Now his ghost haunts the castle. A young cook, Sonia is sure everyone has it wrong and the ghost haunts the castle to seek justice. She will move heaven and earth to get to the truth, but she is helpless. 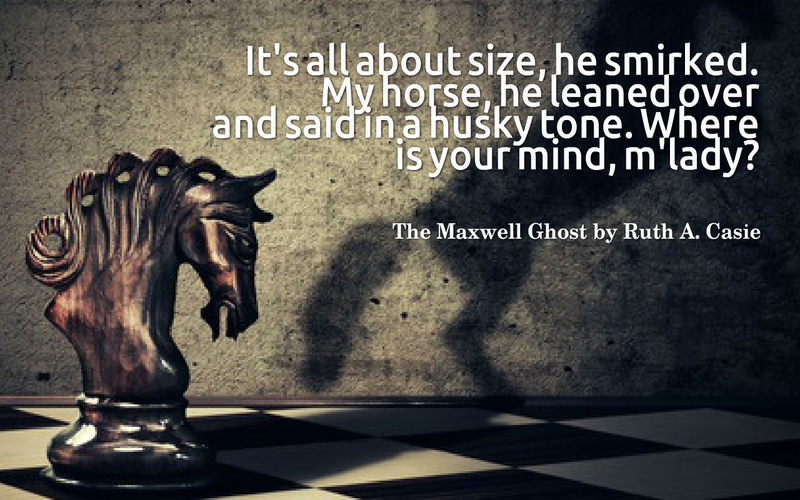 Laura Reynolds travels from England to her cousin, The Maxwell’s castle to put Evan’s ghost to rest. They have one week to complete the task or Evan’s ghost is doomed to haunt the castle forever. The Maxwell, while he loves his cousin, doesn’t believe in her sorceress ways. With the unsettled times, he cannot send her back to England right away, rather he lets her pursue her investigation. “Do you have any idea why Darla wants you away from Glen Kirk?” Jamie asked. “Wait, Lass. I’ve not said I wouldn’t take you with me. I’m simply inquiring as to why Darla is so anxious to have you away.” His soft tone and softer eyes quieted her. Lisbeth’s words were right. She cringed at the idea of marrying Bryce. He wasn’t where her interests lie. “Has Bryce said anything?” He moved forward in his chair. “Has he done anything to—” His fist pounded the table making her jump. “No, not at all.” Her hand instinctively covered his fist to ease his concern. “He makes me uncomfortable. That’s all. You said the ghost appeared after Evan died three weeks ago. You don’t have much time.” She removed her hand, got up and sat by the dying fire. Jamie followed. “What do you mean? Much time?” he asked as he stirred the embers to life. 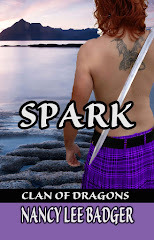 Laura sat and watched muscles under his shirt as he stretched and maneuvered the heavy log. 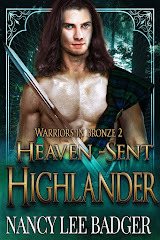 The glow of the fire reflected off the gold strands threaded through his dark ginger hair and gave a soft halo effect. A smirk touched her lips. Jamie was no saint and the gossip of his escapades was legendary with the girls and women in the village. She dreamt of him at one time, a young girl’s fascination. As I get older, I appreciate birthdays more and more. I am Thankful to be alive! 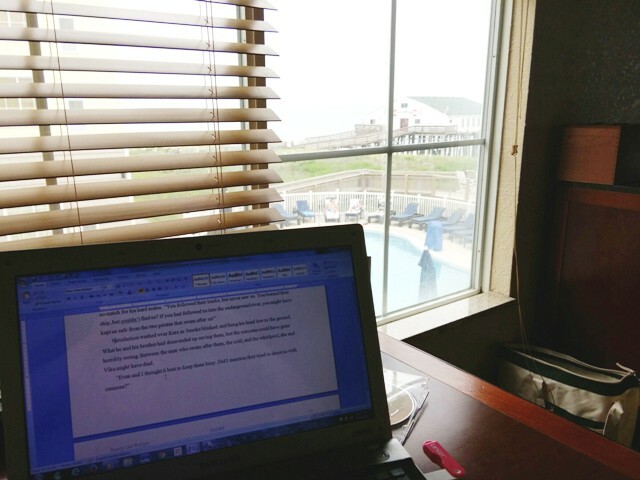 I keep busy with my family, travel, writing my next novel, and so much more. I can remember our country's military draft, the lottery, and young men fleeing the United States for Canada, so they did not have to serve in the military. Things changed. There is no draft and no more lottery. Young men sign-up without coercion, and many serve their country with dignity and grace. They come back to civilian life with experience, and a sense of purpose. They attend college, join the work force, and fall in love. Some have problems, including a rather high suicide rate. November 11th is Veteran's Day in the United States of America. Please...hug a Veteran! Congrats to my Latest Winners! 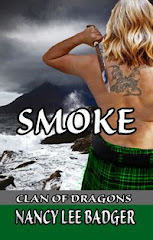 Watch the post for your books and watch for the third book in the series, SMOLDER. 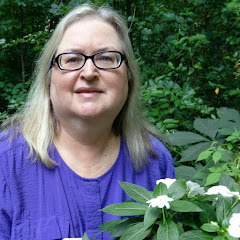 Raised as a “country girl” in Maryland, I fell in love with animals, books and the mystical world of magick from a small child. 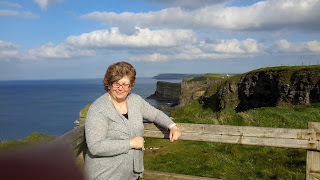 My mother being born and raised in Northern Ireland, along with the discovery of my father having American Indian ancestry, my fascination for both cultures quickly led my imagination to run wild. I come from a family of storytellers and grew up listening to tales of the charming wee ones, fairies, the mischievous leprechauns, and magical creatures including dragons, Selkies, witches and more . . .
Quinn McCord’s alpha wolf instincts compel him to search for others of his kind and offer safe haven on board his nautical home, The Sea Wolf. 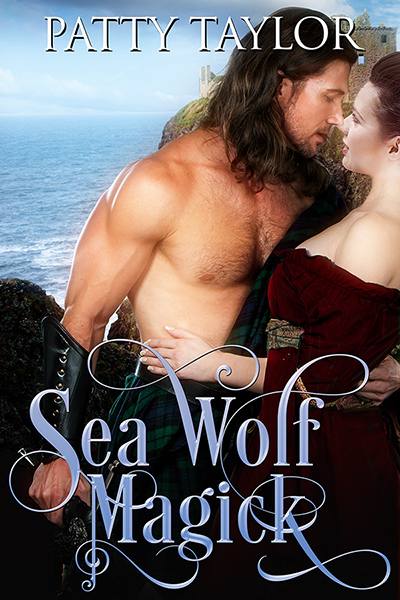 His priorities are tested when sorcery lures him to a savage trap, and fate forces him to choose between his cravings for an irresistible witch, and his vast love of the sea. Headstrong healer, Beth McMasters, uses her 21st century skills to help others, after returning to her rightful Scottish birthplace in 1797. While determined to remain single and restore her family’s good name, new disturbing images cause grave doubts of her promise, and her future. Rescued by the handsome Captain Quinn, who resembles the imaginary rugged Highlander sketched by her sister, Beth struggles with the cruel twist of fate when she learns her curse can destroy the only man she’s ever fallen in love with. Will Quinn and Beth’s bond for each other be powerful enough to keep them together and find a cure for her curse before they run out of time, or will the truth of their legacy tear them apart? With the help of a miniature dragon, a crew of wolf shifters, trolls, and other mythical creatures, they journey across the Mystical Isle of Skye, to enchanting Iceland . . . for another adventure filled with magick and mayhem.